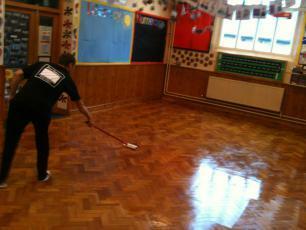 Floorfixer Floor sanding services are regularly requested to refurbish School floors by Local Education Authorities, Grant Maintained Schools, University Bodies or Building Contractors. We are always flexible with our working patterns to accommodate the needs of our clients and understand the need to work under tight time constraints caused by condensed programmes during school closure periods usually around the school holidays. Our team has carried out floor restorations in Secondary Schools such as Moat Community College, Universities include Leicester and Loughborough University, Colleges, Academies, plus many Primary Schools and Early Learning Centres. Wooden flooring in schools is used for all types of activities such as sports gymnasiums, dance and aerobics, teaching blocks, common areas, libraries, dining rooms, kitchens and even the staff room. 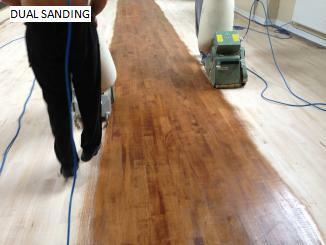 We offer special rates and the price for school floor sanding may be less than you thought. All educational premises endure heavy footfall and the regular movement of desks and chairs can leave school floors looking well worn. 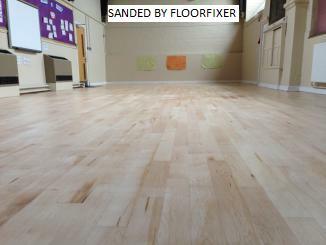 Floorfixer technicians can provide a cost effective solution to the problem of any tired looking wooden floor with our school floor sanding service. The finishing products we use have been designed for high traffic areas because increasingly these days, school buildings also double as a community resource. This multi-use outside school hours means the flooring is exposed to increased levels of wear and tear with reduced time for cleaning and maintenance and providing sufficient flexibility for a wider range of activities can also pose extra problems for maintenance staff. 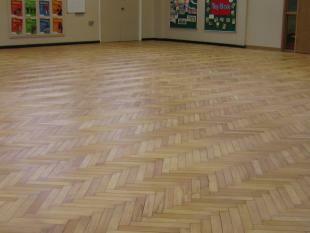 Many older Primary Schools, colleges and universities that are currently being adapted into Academy type learning centres, had their parquet flooring and herringbone floors installed years ago. This type of wooden floor always used to be the choice in the old days because wood was not as expensive as it is nowadays. We all remember school halls of our childhood that had to accommodate assembly, school dinners, PE, drama performances and much more, but with today's litigation culture, architects designing a school will often shy away from this type of flooring in areas where there's a risk of spillages from school dinners or evening class refreshments. 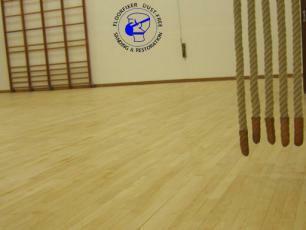 It's a shame though because a nice wooden floor looks far better than a bland plastic, rubber or vinyl coated surface, and the latest generation of wood floor finishing can provide a hygienic, easy to clean surface which is suitable for many uses as well as having good shock absorbency and resilience for indoor sports. Floorfixer can sand a wooden floor without causing any mess by using the latest low-dust equipment and will work quickly and efficiently to help minimise disruption to school life. 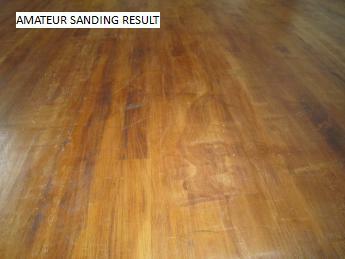 We have extensive experience of sanding school floors, so you can feel confident that your flooring is in safe hands with our fully qualified wooden floor refurbishment team. We also offer a FREE ANNUAL INSPECTION VISIT, see details by clicking on this LINK. All our clients are given an understanding of our procedure and know exactly what to expect from us prior to commencement of the refurbishment. Our surveyor works out an accurate estimate as to how long the installation will take, and each client knows what we require from them to complete the installation. We understand the importance of safe working practices and have an extensive health and safety policy in place which is available upon request. We will also provide you with a comprehensive method statement and any relevant COSHH assessments and safety data sheets where required. Our liability insurance exceed the statutory minimum; making us the safe and reliable choice for any floor restoration project. Our fully qualified operatives are highly regarded sub-contractors to the building trade and certified members of the CSCS(Construction skills certification scheme). They are specifically accredited in wood floor sanding and finishing and their membership card is carried at all times when on site. Also on site, we always endeavour to have a first aider present and will provide method statements and risk assessments and COSHH data sheets specific to our work. All Floorfixer machinery is serviced and PAT tested regularly to meet industry standards which allows safer working processes for our operatives.